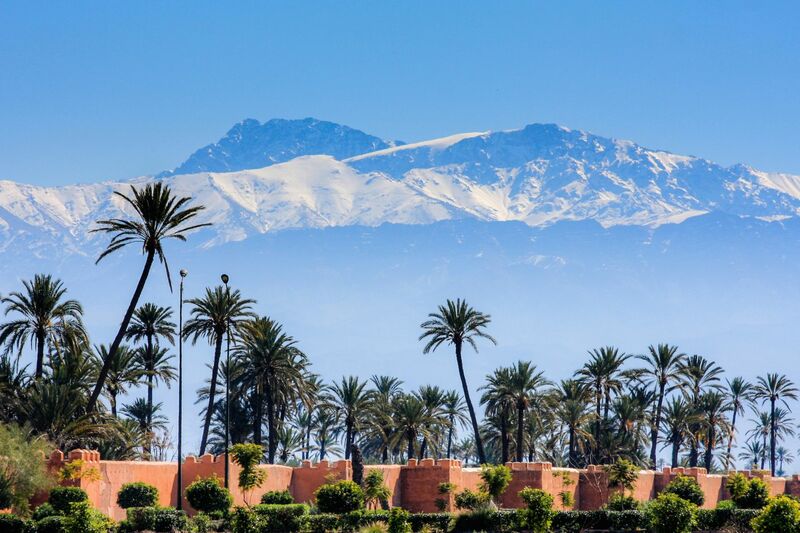 The heritage of numerous dynasties, both Arab and Berber, Central Morocco is home to the imperial cities of Marrakech and Meknes. Where better than these two cities to discover the successful marriage between tradition and modernity. Set in ever-changing landscapes, both cities are surrounded by ramparts that shelter their unique architectural, cultural and artistic heritage. A visit to the kasbah and medina of Meknes on the Atlantic Coast and of Marrakech near the foothills of the Atlas Mountains, will enable travellers to discover the secrets of these two cities packed with palaces, mosques and mausoleums as they wander through the many souks, fountains and winding streets. The perfect getaway for bargain hunters, art lovers and those simply curious to learn more about this region, travel to Central Morocco for a trip full of surprises. There are no travel restrictions put in place by the FCO although following the global terror threat and the attack last year in Tunisia, Morocco is on a high terror alert. 500,000 British nationals visit this amazing country every year and most visits are trouble free. British nationals do not need a visa to enter Morocco for less than 3 months. Make sure your passport is in date and gets stamped upon entry. Access to mosques and holy places is forbidden to non-Muslims. The Mausoleum of Mohammed V in Rabat and the Mausoleum of Moulay Ismail in Meknes are the two exceptions. When sharing a family meal, wash your hands symbolically. Whether you're eating with or without a fork, make a conscious effort to eat with your right hand. During the month of Ramadan, refrain from drinking, eating and smoking in public. During this period, most offices, public services, monuments and shops adjust their opening hours. However, some restaurants and quite a few hotels do serve meals for non-Muslims Opt for less provocative attire at all times of the year, and ask people for permission before taking their photograph. It used to be common for both tour guides and fake tours guides to descend upon tourists in towns and cities and along roads, however following government action this is becoming increasingly rare. If you do wish to call upon the services of a tour guide, choose official guides registered with Morocco's Ministry of Tourism. They have a perfect knowledge of their country and its monuments. Do not hesitate to find out more information from tourist professionals and from staff where you are staying. Lunch and dinner generally start with a salad. Mechouia, the most common salad served, is a mixture of tomatoes and roasted peppers. The most popular main dishes are tajine (a meat, poultry or fish stew with steamed vegetables) and couscous, which is prepared differently depending on the region. The Moroccans usually prepare couscous for the traditional lunch enjoyed by families on Fridays. Pastilla, originally from Fes, is a very refined dish that consists of pastry stuffed with pigeon meat and almonds. During festive periods, tender lamb is either oven or spit-roasted. This dish is known as mechoui. 'Gazelle horns', almond feqqas, sesame ghoribas and honey cakes are the most popular desserts. You simply cannot turn down a mint tea at the end of a meal, or at any other time of the day for that matter. Find weekly weather forecasts for Central Morocco . Different criteria make it possible to predict with precision the best time of year to go to Central Morocco . A comprehensive weather score, made up of temperature indicators, bad weather predictions, sunshine levels and wind speeds, will allow you to choose the activities best suited to the weather conditions and therefore make the most of your holiday in Central Morocco . In the bustling souks (markets), visitors can enjoy wandering around the stalls, shops and workshops through a maze of streets. Each town and city has its own unique range of specialities to offer. At the Marrakech souk, renowned for its high-quality leather goods, shoemakers stitch babouche slippers using methods handed down by their ancestors. Visitors will also spot many large piles of rugs. These are Berber masterpieces traditionally weaved in Marrakesh, also known as Chichaoua carpets. They typically feature stylized animals and geometric patterns on a red background. Meknes prides itself on its wooden handicrafts, and Rabat on its embroidery and rugs produced in the city since the 18th century. Bargaining is common practice. You may even end up enjoying a friendly conversation over a cup of tea! Before discussing prices, though, it is best to take a quick walk around the souk in order to familiarise yourself with the going rate for whatever it is you plan on buying. Similar objects can also be bought from the handicraft cooperatives. They will be more expensive but it's a safer bet as far as the quality of the products is concerned. Generally speaking, shops in the country don't have set opening times. They are usually open from 9:00am to 12:00pm and from 2:30pm to 6:00pm and close on Fridays or Saturdays, and almost always on Sundays. Our journalists' reviews for you 182 hotels Morocco . 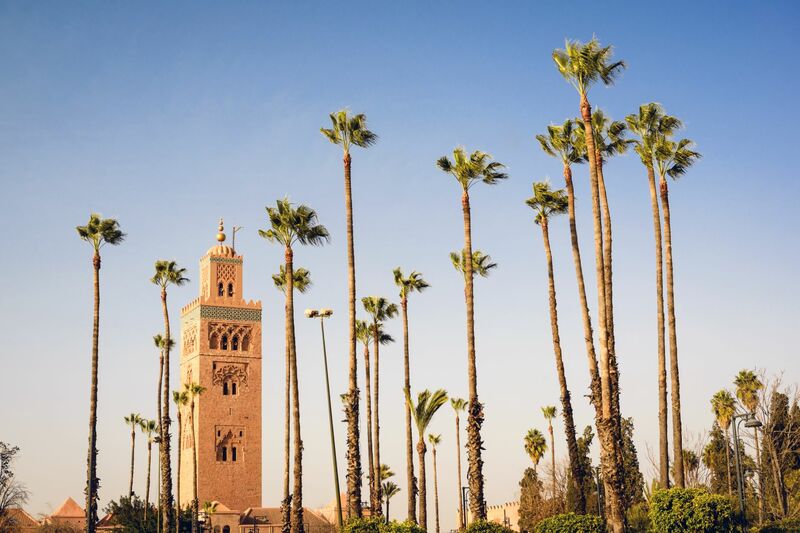 Take a look at our hotels, their facilities or their value-for-money score according to your departure dates so that we can find the best offer to suit you Morocco . Book a hotel Morocco it's never been so simple !